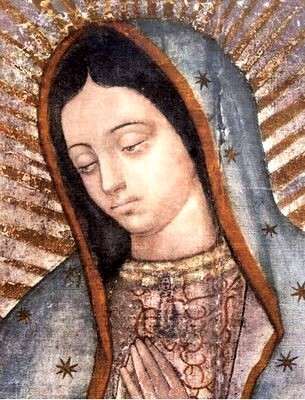 addition, he established in his Apostolic Exhortation Ecclesia in America that the Feast of Our Lady of Guadalupe, Mother and Evangelizer of America, be celebrated throughout the continent on December 12th as “pastors and faithful alike have grown increasingly conscious of the role of Holy Mary of Guadalupe, Patroness of all America and Star of the First and New Evangelization”. By this decree She is the Patroness of our homes, our families, our marriages and our children. It is time for us to start using this gift God our Father has given to the world, especially in these times. It is the Church herself that has named St. Joseph as the Guardian of the Church, the faith and the family. There is perhaps no other time where the presence of the Foster Father of Our Lord Jesus, needs to be called for His intercession within our marriages, our families, within our homes. As impurity becomes the decay of our societies, it is the Chaste Heart that we look to as we invoke St. Joseph, for the purity of our marriages and that of our children. In a world that is on the road of perversion and has lost its sense of morality, it is the Foster Father of Christ that God sends to us in these times. As we consecrate to His Chaste Heart, we implore St. Joseph to protect and embrace each family and each home that has recognized the need for this great gift to the world: St. Joseph. Our Lady of Good Success, Our Lady Queen of Peace, Our Lady of Fatima, the Archangels St. Michael, St. Gabriel and St. Raphael, Moses, Elisha, St. John the Baptist; the Apostles St. Peter, St. Paul and St. John, St. James the Greater, St. Mary Magdalene, St. Father Pio of Pietrelcina, St. Charbel, St. Therese of the Child Jesus, St. Teresa of Avila, St. Andre Bessette, St. Marie Rose Durocher, St. Marguerite d’Youville, St. Philomena, St. John Paul II and St. Peregrine.